Problems have a way of suffocating life, dreams and hopes. • Resurrection is not just a poem or a myth. 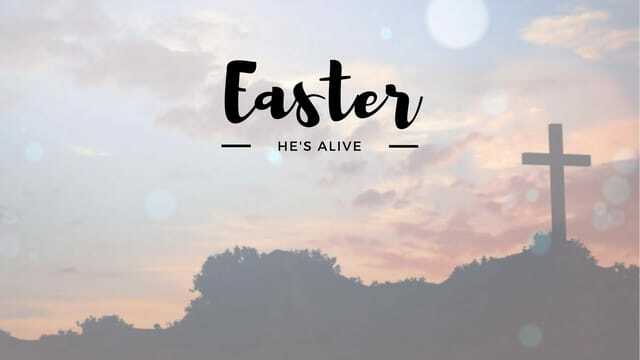 • Resurrection is not just a story we tell. • Resurrection is the power of God to come into our present moment. In dying for us, Jesus showed that He was God, dying for the sins of the world. His resurrection verifies that He is God and that He has achieved what He came to do. First, He offers divine forgiveness for our sins. Second, He offers an eternal hope of Heaven. Third, He offers resurrection life to areas of our lives that may have died. 50 Day devotionals are available at the Welcome Center for only $2. Pastors & Leaders from all over WNY, including our own pastor, have come together to share 50 dynamic daily devotionals. Men’s Breakfast now meets once a quarter. Come on Saturday, April 22 to enjoy breakfast, music and a great message. Offering taken. RSVP in the lobby and see Tony Baldi or Rob Schott for more information. We hope to see you there. Please fill out the registration form and drop it in the offering or at the Connect Group table in the lobby. If you have any questions, Denis and Nancy Kitchen will be available in the lobby after the service. Ladies you are invited to the W2W Spring Luncheon on Saturday, May 13th at Salvatore's Italian Gardens. Enjoy a delicious buffet lunch at this premier fine dining restaurant. Bring your loved ones. Lunch will be served at 12 noon. Tickets must be pre-purchased in the lobby. $23 adult buffet, $18 plated child’s meal. Our sincere condolences go to David Waldmiller and the entire Waldmiller family. Robin Waldmiller, a beloved longtime member of Love Joy Church, went home to be with her Heavenly Father on Palm Sunday, April 9. The funeral took place here on Friday.